In the morning, most of us have a bit of time and space for ourselves before all the people and things around us start to demand our attention. If we use this time wisely, it can affect the entire rest of our day. If we don’t, we’ll probably pay the price the moment things are turning hectic again. In this post, we’ll cover a few simple but effective strategies to make this happen. Breathing has a calming effect on our nervous system; but it also affects our endocrines and lymph system, our immune system as well is our digestive system. It really is a holistic exercise and that’s why it’s so helpful for people with anxiety. After all, anxiety impacts the entire body, too. This exercise re-establishes the balance between oxygen and carbon dioxide in our blood. As our heart rate slows down, more oxygen is able to enter our blood stream. And that ultimately tells our brain that it’s safe to relax. So when we wake up with a sense of internal tension, this practice gets us off on a good start. One of the unfortunate ways anxiety and stress work is that it shifts our focus on the negative. Instead of seeing things as they really are, we pick out the negative details about our life and dwell on them. That’s why a powerful morning ritual is to do the exact opposite — look for something that’s good in our life. It can be something terribly obvious. Actually, we better start with something terribly obvious because those are the things we usually ignore the most. The love we get from a friend or someone in our family. The warm and comfortable bed we can rest in every night. The clean drinking water that we have available any time we’re thirsty. All the streets and buildings that thousands upon thousands of people before us have build and that we can now use to get around easily. Sounds silly? Maybe. But learning to see the good in life isn’t just a nice-to-have skill. It’s fundamental to a happy life. Physical activity of any kind is an effective anxiety treatment. A number of studies have shown how daily exercise can as powerful — or even more powerful — than common anxiety medication. Exercise can help the brain deal with thoughts and help the body recover from the feelings that come with anxiety. That’s why — slowly but surely — even many therapists start to recommend it to their clients. 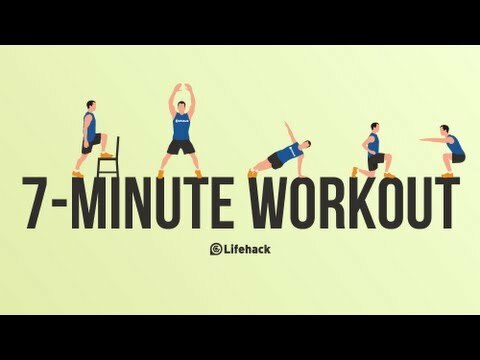 And because we usually don’t have that much time in the morning, the perfect routine is the so-called ‘7-minute workout’. It’s a particularly quick and easy way to get a workout done. We only need our body, a little bit of space and a wall for it. For all of us who want to start our day a little bit more calmly, we can also do a yoga session or go for a quick run. This, too, reduces stress hormones and releases neurotransmitters into the brain that help us relax. A great way to start the morning is by making ourselves a warm cup of tea and taking our time to drink it peacefully. If you manage to make this into a routine, you’ll have two great sources of relaxation. First, rituals naturally help reduce anxiety because they focus on what’s familiar. And the added bonus is that some teas have actual calming effects (chamomile, passionflower tea, and kava for example). They contain the anxiety-reducing amino acid L-Theanine which gives us that warming sensation when we sit down to drink. But not every tea helps calm us down: Black and green teas have caffeine in them. Just like coffee, they can make us feel a bit jittery instead of calm. If we’re used to it though, it usually isn’t much of a problem. Get a warm blanket, put on some soothing music and enjoy a good warm cup of your favourite hot drink. No list of morning rituals would be complete without this: Meditate. Much easier said than done but if we want a morning ritual that can really transform us over time, no need to look any further. Mindfulness meditation — if done regularly — can make a big difference in people’s lives. One of the reasons why it’s difficult to pick up meditation is that it takes a bit of practice until we get the hang of it. And that’s especially true if we’re anxious or overly stressed. 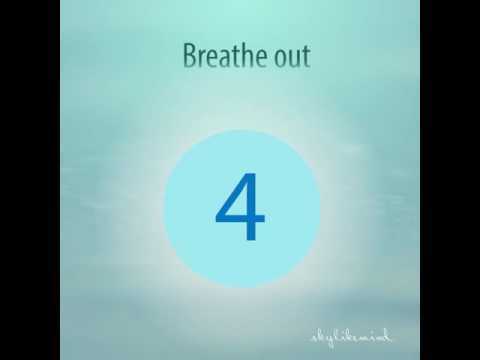 So if sitting down to meditate sounds too daunting for you right now, do the 4–7–8 breathing. It’s a good way to get started and you’ll notice an effect more quickly. Now we could write about five more strategies. Or ten more. But there’s only so much you can put into action at once. And that’s why this post ends here. You now have five simple and effective strategies to choose from. Changing habits is hard, so it’s best to select the one strategy that most appeals to you and give it a try. After a while, you can add more habits if you want. And over time, this will help you build the morning routine you need to live more calmly through whatever stresses come up during the rest of your day.